Can Kinesiology Really Help Me Change? Kinesiology is not for those who need tried and tested old school healing avenues, however if you do bypass it because of this you might be missing out! 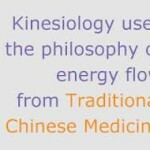 Kinesiology originated in the 1960’s when Dr George Goodheart DC combined chiropractic health techniques with his own findings to create Applied Kinesiology. 10 years later another chiropractor, John Thie, combined techniques from AK with Traditional Chinese Medicine to create Touch for Health as a simple, effective and safe system for his clients to use as a self help program. This was so effective other health and wellness practitioners interested in helping their clients started to explore the use of muscle testing in their work. Many other kinesiology branches emerged, such as Brain Gym and Educational Kinesiology, Applied Physiology, One Brain, Three in One and Transformational Kinesiology amongst many others were developed to holistically help people to live their life to the fullest. In addition many other health providers such as dentists, psychologists, naturopaths, teachers, doctors, massage therapists, etc, wanting a more holistic approach, developed skills in kinesiology and muscle monitoring to access information about a persons health and wellbeing to ensure they offered the most effective personalised program to health possible. Many of us hold old emotional hurt, destructive thought patterns or deep feelings of loss and grief that just won’t go away. Equally many of us have chronic health issues such as migraines, back pain, or mysterious aches and pains. And many of us struggle with digestion issues such as bloating, sugar craving or difficulty losing weight. Those of us who struggled learning often have challenges reading, writing, or comprehending or have emotional blocks about learning that will prevent us from pursuing our dreams later. And nearly all of us would love to excel in one area or another, perhaps sports, arts, academia, public speaking, business, etc. And all of us would love to enjoy life more. Because we understand the importance of using our brain positively we will often try to use affirmations to make fundamental changes in all these areas, however when the underlying belief systems are the old and negative thoughts they never really feel true. In addition, at best we can only make an informed decision as to the cause. Kinesiology bypasses the mind and helps us dig deep into the subconscious levels to identity and resolve all the elements that inhibit the wellness of the body, mind and spirit. The latest findings in Neural Plasticity and Quantam Physics all are beginning to change the face of science and evidence is beginning to prove the foundations of kinesiology. Given another 5 or 10 years the research will be in and understanding will be possible. However, after 20 years of practice I can say that my clients will often say they have no idea how it happened and they don’t really care, all they care about is that their life has fundamentally changed for the better. 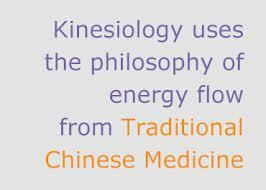 If you are struggling then kinesiology may be worth investigating. Why wait until the proof is in, give it a go and use your own intuition, it may be the answer you are looking for. Fed up with being overwhelmed by too much to do? It is more and more often recognised as a primary source of stress. Multi tasking has become a nightmare of competing priorities, often resulting in jobs completed at less than our best. In fact, research is showing that multi-tasking is proving far less effective than we thought. Focusing on one job to its completion seems to produce better results and less overwhelm. But how to learn to have that much focus – especially if you are a natural multi-tasker? How can you train your mind to stay focused on just one thing when all those other tasks are screaming for attention? How is it possible to capture the attention of your un-focused mind? Most of us can do this easily with something we want to do. If something is interesting or urgent enough we become engaged and can remain focused. Often, however, it can become difficult to disengage or even stop for dinner!! If we look at that from the perspective of the Dynamic Brain Model we use in Brain Gym we see that the person in overwhelm is stuck in their gestalt brain. Everything is big picture, there is no clarity about what details need to be attended to first. On the other hand, the over-focused person, the one who can’t disengage, has become stuck in the logic brain and the details and has lost sight of the big picture. Once that happens it is difficult to care what else is happening, all that matters is getting this task done. Self care or care for others falls by the wayside. Most of us have a tendency to one or the other – or even more frustratingly flit from one to the other. So how to develop the ability to engage fully with a task while maintaining the big picture? As a Brain Gym Instructor I know that Brain Gym always helps but I also rely on a few other strategies. I have included three of my favourite ones here that help the brain learn to engage and disengage without getting stuck. To start you need a pen, paper and a timer (time is a logic brain function. Using time helps it switch on). If you don’t have one you can google one and download it to the computer desktop. This first process is fundamental to success. Write down a to-do list. Many people just keep these in their head and wake up at night stressing about more things that need to be added. It can be as creative as you like just get it down on paper. To stop overwhelm, make this a master list of everything you want to or need to do and when you get a light bulb moment add it to the list. 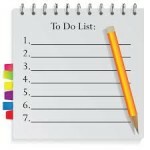 Once a week (or month) review your master list and take the items you KNOW you can complete in this next period of time and put it on your current To Do list. Make this list definitive and extremely achievable in the time you have allowed. Then each morning just choose the items need to happen today and put that on your Daily To Do list. Again, make it achievable, you can always go back to the master list. Then, each day, start on the most important and, if possible, the least liked item (get it out of the way!) and work your way through. The time you have just spent planning your day may well have switched on your logical brain function so you can enter into the task with focus, especially if you started your planning with some Brain Gym. This step seems very simple but I still recall the relief and relaxation I felt when I started doing this instead of trying to remember everything! This next process is perfect when you have one big thing you need to get done and are procrastinating either by avoiding it or by spending more time fiddling than actually completing the task. It is also good if you need to do something boring, like data entry or sorting out a closet, something that may feel like it will take forever. Start by taking your timer and put it on for 20 minutes. Then start the project. Do not allow yourself to do anything else until that timer goes off. Once it goes off you get a reward! You can go for a walk, have something to eat, look at the trees, have a cup of tea – anything that is nice for you. If the job is still not completed then once you have spent about 20 minutes doing the nice thing you can then once again set your timer and go for it. The trick is to keep up this pattern until the job is complete. Your brain knows that you will only be working a short while before you get to do something nice and, mostly, that carrot, combined with the necessity of getting the job done is enough. If you are really easily distracted, really dislike the job or are using this with a child you may need to decrease the work time to 10 or even 5 minutes. You can then gradually increase it until you, or your child, can work for 20 minutes without distraction. Note : You may be able to increase the time from 20 minutes however most people do their best work in periods of no more than 20 – 30 minutes. If you extend it for much longer than that you may find you end up distracting yourself with the lesser or non-important aspects of the job in the guise of keeping on keeping on. For example, how long can some people spend making the report format look nice! This process is great when you have many jobs with competing priority, i.e. you just don’t know where to start. It is also useful if you have one big job or project that needs to be done but lots of other little niggly things are calling for attention. For example, if you are trying to complete a report but emails and other projects are getting in the way. Start by listing the jobs to be done, eg the first time I tried this I had a uni assignment due in a day or so but I was having a great deal of trouble getting my head around it. I also had no clean clothes and a house that was so messy I could not focus, people coming over for dinner and admin work that needed to get done. I was ineffectively jumping from item to item without getting anything done. Overwhelming right? I actually got it all done, without stress. 1. Write out your list and add ’10 / 20 / 30′ after each one. 2. Then just start doing each item in order for only 10 minutes. Doesn’t matter that 10 minutes into the washing time the clothes aren’t even sorted, just move onto the next item. Once everything has been done for 10 minutes go back to the top of the list and do each for 20 minutes, then back to the top and do each for 30 minutes. If you run out of a job then move onto the next item, for example, 5 minutes into my 20 minute block for washing clothes they were in the machine, nothing else I could do, so onto cleaning the house for 20 minutes. Once each job is completed cross it off. Often projects take much less or much more time than we think. This way you do not need to figure out how long it will take or stress about having enough time to get everything done. In addition, the structure of the process helps the brain to organise itself and have time to get focused. I kept rotating through that list and crossing off each completed item till I just had the assignment left. By then my brain had warmed up to the task and was more than ready to focus on it and get it done. And when people arrived the place was clean, I felt happy with my progress with my assignment and dinner was ready! I know without doing that process people would have arrived to a messy house with the washing half done and dinner barely started – I may have managed to give the day to my assignment but in a stressful way that would have left me disconnected to my own needs of pleasant surroundings and companionship. Give these processes a try – and let me know how you go…. Here’s to getting stuff done! Copyright © 2014 Gay Landeta. All Rights Reserved. For many years the link between movement and learning was not widely recognised. However as we have become a more and more sedentary people, academic and experiential research have linked these two; with the Primitive Reflexes and early developmental movements being recognised as especially important. These are our earliest survival reflexes and emerge either in utero or in early infant-hood. They should be fully integrated by about a year to make room for the postural reflexes, the ones that help us to stand upright. Our ability to move, our perception of the world, our language and how we make sense of the world is built upon the emergence and subsequent integration of these early reflexes. Only after the successful integration of these, can higher functioning, for example, relationships and academic learning, become natural and stress free. James was age 14 and in grade 10. He presented for his appointment defiant and unsure. James was having difficulties at school, he had been bullied when younger but now seemed to be the one bullying. He had a troublemaker tag and was often caught in the middle of a fight. In the middle of our consultation a door suddenly slammed. James leapt backwards, arms out stretched, eyes wide open, swearing like a trooper. He had just exhibited a fully developed Moro reflex, the primitive startle reflex that babies exhibit up to the age of 4 months. James’ troublemaker image and self esteem difficulties grew from the fights he started while in the locker bays. Fights he denied starting. The jarring sound of locker doors slamming activated the Moro reflex. James’ would reflexively lash out and the cry he would have made as an infant became uncontrollable swearing. This guaranteed a reaction from others that often developed into a fight. 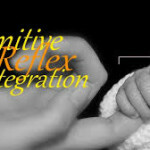 The Moro reflex, one of the Primitive Reflexes, is the infants fight or flight response to danger. It should have emerged at about 9 weeks in utero and have been fully developed and integrated by 2 – 4 months of life. It then becomes replaced by the adult startle response where it it possible to stop and discern if the noise has an element of danger to it and only then react. James’ unintegrated Moro Reflex meant he was physically and emotionally being put into fight or flight survival mode by every loud noise he experienced. In James’ case a quick birth and infantile illness had combined leaving the Moro reflex together with several other early reflexes ‘stuck’ in his system. He could operate ‘normally’ only when he was totally relaxed. The stress of high school combined with the teenage hormones meant that this rarely happened. He was constantly ready for the Sabre Tooth Tiger to attack! 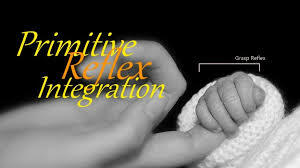 A few sessions enabled his system to rewire itself and integrate the reflexes into the soon to be adult system. Instead of continually trying to contain himself, James gained real control over his emotions and outbursts. His self esteem improved, his learning became easy and his results improved and he was once again able to be his own wonderful self. Our body is a miraculous thing, it can learn to deal with almost anything. But often through compensation. Many of us have some incomplete early development patterns that leave us vulnerable to stress. Most of the time we compensate, until we hit enough stress for that compensation to collapse. Sometimes you can see this physically, for example in someone who is normally coordinated who starts bumping into things when they are tired or stressed. Emotionally we can say or do things we later regret. Old emotional issues emerge and our health can start to decline. Our thoughts and feelings become conflicted and learning anything new becomes at best difficult. We all know a good walk often calms down the most emotional issue – but if unintegrated reflexes are the cause then they will continue to stop us from accessing our full potential anytime we hit our particular stress wall. By discovering which early movements are blocked, where the difficulties lie and then fully exploring them we can help them to become integrated and life becomes far more easy and joyful. Copyright © 2014 Create the Life. All Rights Reserved. This article may not be used without the prior written consent from the author. … Soon to commence, Transformational Kinesiology Group Balances. Each session will have an overall theme, relevant to our evolutionary growth and to the planetary energy of the moment. Each person develops their own personal goal, which in turn forms the foundation of an overall group goal. Universal blocks are discovered and cleared through individual experiences that, again, relate to the whole. Energy shifts personally, as a group and, as working in a group is so powerful, on a planetary level as well. Group will be limited to 6 people. Brain Gym Professional Practice Days – Catch up in a small group with other Brain Gym 101 graduates to understand the process and integrate the basics into the way you use it and share it with others. These are held once each quarter. For more information or to reserve your place at any event contact Chelsea on 0499 154 693, or to chat with me about whether it might be right for you call me on 0418 795 135. 2014 by Gay Landeta with the intention of helping you to Create the Life you Want to Live! All rights reserved. Make Learning Fun! Stressed Learner Can’t Remember! What is your study profile? Skills to Support Learning! How easily do you learn? 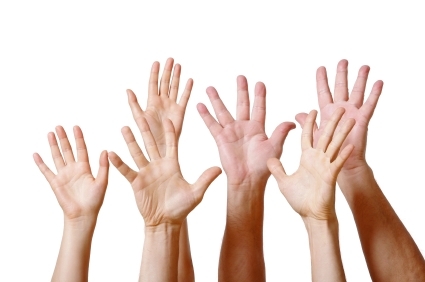 Do you have learning difficulties or are you like most of us and have difficulty learning at times – especially when not interested in the subject! But did you know that there are 5 fundamental elements that affect each individual when they study. These elements expand out into about 21 different variables. Not each of those 21 is important for each person – but somewhere between 6 – 14 significantly affects study results. So that means that by determining the ones that are significant to you and making the appropriate changes your ability to study will improve and so will your results. The well respected Dunn and Dunn model consider that five elements affect ease in learning. They are: environmental, emotional, sociological (how we interact with others), physical and psychological. The first place to look is at the environmental elements and some of the physical and psychological aspects. Start to consider how much light you need, how noisy you like it, how warm or cool suits you, whether you prefer a desk or something more informal. Simple adjustments can make all the difference. You may be like a client of mine who recently discovered that when he sits on a hard chair he stays focused – on a soft he has much less ability to stay on task. It is also useful to consider if you prefer to know the big picture first (a global thinker) or you must have the details (an analytical learner). This will help you discern if your challenge is to put the details into the big picture or vice versa. Once you know this start to structure your study around it. Mind maps are great for this! Big picture people – use them to see how the details fit into the bigger picture. Analytical thinkers – get your details clear first and then in an orderly manner (cos that will suit you!) build them into the big picture. Kinesthetic – you must move and experience to learn. Start experimenting and include the important ones in your study. Visual is pretty well covered in most study tactics but try talking through your notes with someone – even yourself, playing with a stress ball while you study, moving while you read, etc. Things that may seem anti-study may actually be just the thing that is right for you. I remember being in a study skills course which included about a dozen teachers, we were challenged to walk and read at the same time. Well, I enjoyed that, I often used to read while I walked to school when I had a great book going. And I wasn’t the only one, however most of the teachers complained how hard it was. During the de-brief they realised that their demands for students to sit still and read might be stopping some from doing so! So try different tactics to help you clarify whether you are a visual, auditory, tactile or kinesthetic learner. Next area to look to is the emotional element – do you like to study for long periods of time or do you have a short attention span? If long choose one subject to focus on at a time, perhaps a whole study session. If short then change study focus often. Generally we can focus for about 20 minutes at a time, sometimes we can only manage 5 or 10 minutes. Use a timer or download an application on the computer. Some people learn better when they do several things at once. I always remember my dad filling in his tax return while watching sport, reading a book and painting a picture – he needed to do all those things to stay focused and finish his tax. Me, I felt slightly crazy watching all that happening. Another important consideration is how you like to get your information – do you prefer an authority like a teacher telling you or to find the answers by yourself? You may prefer peer to peer learning and like working with a partner, or you may learn best by tossing ideas around in a group. You can modify your study by finding a study partner or joining – or creating – a study group. The final few factors consider physical aspects such as whether you like to eat or drink while studying and whether your preference and energy for learning is best in the morning, afternoon or evening. Again, experiment and then once you know the best time for you to learn schedule it in. If food or drink is important for you figure out exactly what you need. For example I found celery or other crunchy stuff made a difference to how well I integrated what I was learning while I was at University. Warning – chocolate is not the best study aid long term but short term those m&m’s were great! So the big question is what results can you achieve through spending time on these questions? One of my clients recently discovered that two very bright desk lamps, a big empty desk top, a hard chair, an open door to the rest of the house and short study bursts has helped her study enormously. Another discovered that all he had to do was listen to lectures to remember, fortunate as reading the texts took more time than he had. He invested in a digital recorder and just listened to lectures to study. Hopefully this has given you a few clues on getting more out of your study. If you are still foundering Brain Gym is another great support…. I run programs and individual sessions that can help support your learning. And let’s face it – we are constantly learning! I hope you found this opportunity to explore how you learn and optimal learning strategies useful for you Create the Life You to Live. Feel free to email or call me with any questions or to book a session create@gaylandeta.com.au or 0418 795 135. 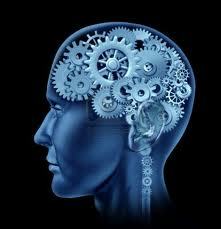 The human brain has long mystified science by defying all the usual medical mechanical understandings. Finally, now, after years of observation and experimentation we are beginning to unearth its workings. Early work identified the brain as consisting of two sides, the right and left brain, with the creative processes attributed to the right and the more logical and rational processes delegated to the left lobes. The right and left brain theory is one that most of us have heard however the model now emerging, as a result of the latest research, is of a much more complex and holographic brain. The latest findings in the field of neural plasticity show a multi-faceted construction that is capable of growing and changing during our entire lifetime. This ability to grow and change gives enormous hope to anyone suffering from brain injury of any type or, more importantly, for anyone who just wants to use their brain more effectively. However, this ability to change is also our undoing because it appears our brain records new learning, quite indiscriminately, indelibly into our neural links. It really does seem that the old adage use it or lose it is absolutely true, in every way! So how can we develop a better ability to use the skills our brain offers us? And how can we lose that which we no longer want or need? I propose approaching life in a ‘whole-brained, whole-hearted’ way. In my experience this means it is easier to retain more of what I chose and maintain a more balanced perspective. Instead of becoming obsessive to stay focused or existing with anxiety our nervous system can relax. A whole-brain approach to life opens us to the opportunity to live life whole-heartedly. Movement has been shown to significantly activate the brain, however the movements that grow new neural pathways are not repetitive ones but specific and deliberate developmental movements. The Brain GymÂ® activities recall the developmental movements naturally done during the first years of life when we are learning to coordinate the eyes, ears, hands, and whole body. They can dramatically help concentration, focus and memory, organizational skills, attitude and physical coordination amongst much more. Yoga, martial arts, chi gung, tai chi and other movement programs of ancient lineage have a long history of balancing the body, mind and spirit. Try using both sides of the body to engage both sides of the brain, especially if you are a very one-sided kind of person. Try using your non-dominant hand to do some day to day tasks or let your non-dominant foot take the lead. The process of figuring out something new switches on new neural pathways. If you are anxious about learning it may be memories of learning challenges (remember, that brain is our strength and our weakness!) that are stopping you. Experiment with new ways to learn and if it is still difficult get some emotional release work done to let go of the pain. We each have a very unique learning style which schools rarely cater to. Finding our comfortable learning style really does make learning easy. Learn a foreign language or music. These are shown to increase brain capacity although they must be done for 5 years to really cement in those increased neural pathways. Draw, dance, paint or pursue another creative avenue. The process of learning combined with the fine and gross motor skill development is a great brain workout. Be comfortably competitive with yourself (or others). Again this involves trying new tactics, practicing and using your neural pathways. And ever notice that excited, yet satisfied feeling when you compete and win? That is your brain wide- awake. This sounds obvious but more and more good nutrition is being shown to be vital to good brain usage. Enough protein, complex carbs, good fats like avocados, nuts, seeds, olive oil, and nut butters, vitamins and minerals are essential. Protein is important in every meal and if you are vegetarian ensure you understand how to combine foods to get all your amino acids. And go organic if you can. Fish oils and multi-vitamins are useful supplements but check with a professional before you spend too much, find out what your body needs. Generally it is recommended to drink at least 8 glasses of water a day. That is the very minimum for most of us. Sipping rather than gulping a glass down when you remember means less trips to the toot so fill up a bottle and just aim to finish it by the end of the day. Be aware that once you get thirsty you are already dehydrated. Aim to never be thirsty. Slow it right down. The frontal cortexes of regular meditators are consistently more developed. Mindfully engage in boring repetitive tasks. Think about each step. Approaching life mindfully, ie being aware of each moment, is a type of moving mediation. See meditate for the benefits! Also, Stay away from too much TV, or other zone-out activities. These can be great de-stressors but used in excess they can numb the brain. The zoned out comfort zone is not whole-brained nor whole-hearted. Get regular tune-ups to keep the energy flowing. We service the car to make sure it runs properly and yet we often don’t do it for ourselves. Make sure you do for yourself the things you need to do to keep running well, we all know how much it costs to repair a badly maintained vehicle! Some people can live on beer and cigarettes till they are 103, it’s true, but most of us have a constitution that is a little more sensitive. I use complimentary therapies such as kinesiology (of course! ), acupuncture and massage (especially Thai and Kahuna) to maintain my balance and add others as needs be. Find what works for you and make it a priority. Pro-actively choose to keep moving and clear blocks. When we are stuck we are not whole, there is a part of us not ready to move. Practice having faith in our natural inclination to whole-ness. Relax into knowing what you know, be open to what you don’t know and keep taking steps forward. By taking a whole-brained, whole-hearted approach you will find that either the aspect that is stuck will unstick, or else what you need to do to unstick it will become obvious. Or else you might just come to a place of peace with where you are. Whatever happens maintaining your intention to whole-ness will help you find it. Contact me if you feel like you are in need of a tune up. I offer a range of services and having been assisting people to Create the Life they Want to Live with great results. Check out the services on the website or give us a call to book in. Gay: 0418 795 135 or Chelsea: 0499 154 693 or you can email at create@gaylandeta.com.au. We also have a Book Online Calendar on the website. I hope this help you to live a beautiful and joyful life! Have you noticed what a time of growth and change, opportunities and challenges many of us are facing? Times like these are often most challenging for those with a fear of success or fear of failure or who pin their happiness or self esteem onto outcomes and achievements. These people are often unconsciously subscribing to a ‘fixed’ instead of a ‘growth’ mindset. Those with a fixed mindset believe that we are each born with a fixed set of potential, whereas those with a growth mindset love learning for the sake of it and see possibilities everywhere. This subject is close to my heart (as you can imagine! 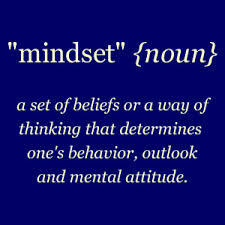 ), recently I read a great book on it, Mindset: The New Psychology of Success by Carol Dweck. Carol conducted some very interesting research about these two very different ways of seeing the world. Part of what I found fascinating in this research was that it showed that our intelligence, gifts and talents can all contribute to closing us down to what is actually possible. We subconsciously do that each time our potential is commented on, positively or negatively or we are congratulated on how smart or well we did – or are denigrated for our missing abilities. We start to believe, as Carol Dweck says “imperfections are shameful — especially if you’re talented” which then starts to translate into fear of failure (or success) because “If success (means you are) intelligent, then less-than-success (means you are) deficient.” On the other hand, those with a growth mindset understand that there is no great achievement without setbacks nor is there any shame in trying something and not doing well. These folk are happy to ask for advice and are open about what they don’t know. They have no fear of failure, because each step is just a learning opportunity. Nor do they suffer from a fear of success because they have no perceived concept of what success ‘should’ look like. Interestingly, these people number highly among the big achievers of the world. However by changing the perspective into one of a growth mindset each one offers the choice to grow and see what change is possible or the choice to be happy where we are. · Noticing if you are judging your progress or expecting a better performance out of yourself. If so challenge that! It actually doesn’t matter if you ‘should’ be able to do better or if others are outshining you. 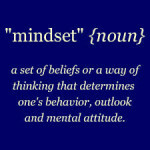 This is part of a fixed mindset and will limit you. · Conversely, when something is easy don’t use it as an indicator that you have a talent in that area. That thinking will limit you to your ‘talented’ areas. It was just easy this time. · Don’t aim for the outcome. Practice enjoying the journey. There is nothing wrong with having a goal or intention, it just can’t be the measure of your success! I relate to how daunting it can be to look at the width and breadth of your life and actions in hope to understand your conscious and unconscious motivations. Especially in relation to this fascinating topic of ‘fixed’ and ‘growth’ mindsets. Just like a fish who doesn’t know it’s in the ocean, whilst swimming around in your mindset it may be challenging to honestly evaluate your circumstances. As always, my doors are open to assist anyone ready to make great changes, but also sometimes a close friend or partner can provide enough insight from a outside perspective to get you on your way. So, this coming week make some time with yourself and a close person to discuss your motivations and how these concepts may be influencing your actions and self belief systems. You may be surprised at what you come up with. If you do want to take this process one step further, contact us here at Create and we can book you in for a session. We are also running a fancy new online booking calendar which is simple to use….. Wherever you are when reading this Congratulations on all your efforts so far and enjoy the journey!